Sapphire Blue Nail Polish Strips in a deep dreamy blue that almost looks like its made of sapphire! Goes great with sapphire jewellery or blue clothing. Coveted Cosmetics nail polish strips take minutes to apply and lasts for up to 14 days if you take proper care of them. 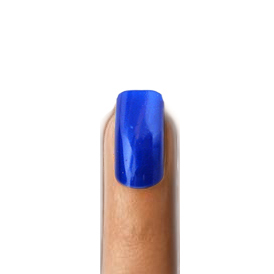 Easy to apply, place on nails, adjust position as needed, file off excess and your good to go! 20 nail polish strips in total which is enough to do all your fingers and toes! Comes complete with nail file and cuticle stick. Made with real nail polish and will remove easily with nail polish remover.